On Wednesday 30th January 2019 Peaches West took part in an Inclusive Boccia Festival at Wollaston Secondary School with 8 other primary schools from our district. Wellingborough and East Northants School Sports Partnership held the School Games Boccia competition which was ran by young leaders from Wollaston school. The younger leaders were fantastic and helped the children throughout the Festival. Peaches pupils thoroughly enjoyed the competition and they came 9th overall. We currently have a coach from Northants County Cricket Club coming into our Wellingborough site to deliver Table Cricket sessions to both Limes and Pears during their PE lesson. The children are able to experience playing in the various roles each week including bowling, batting and fielding. Table cricket is an inclusive sport which allows all children to participate with no barriers. The children and staff find it very enjoyable!! We are delighted to be running the ‘Chance to Shine’ cricket programme again this year. Coaches from Northants County Cricket Club will be running sessions at both RGE and RGW between February and Easter to provide our pupils with the opportunity to play cricket and give them the chance to shine! Pineapples East, Cherries West and Pears West are looking forward to taking part in the Chance to Shine Programme!! Northampton Town Football Club are once again running an After School Football Club at both RGW and RGE this academic year. The children love taking part in the after school sessions and it not only improves their footballing ability, but also increases their self -confidence and allows opportunities for pupils to make friends throughout the school. This year the club is running for 30 weeks; 15 weeks at RGE and 15 weeks at RGW. The children who attend receive programmes and medals from NTFC. Rowan Gate have been awarded the School Games Gold Mark for 2017/18 academic year. The School Games Mark is a Government led award scheme which was launched in 2012 which is facilitated by the Youth Sport Trust to reward schools for their commitment to the development of competition across their school and in the community. We are delighted to have been recognised again for our work and competition success. With a total of 121 young people competing in local inter-school competitions this year, we are extremely proud of our pupils for their dedication to all aspects of school sport, and would like to express our gratitude to the young volunteers, leaders and officials who have made our competitions possible. As part of our School Games Mark application, we were asked to fulfill criteria in the areas of participation, competition, workforce and clubs. 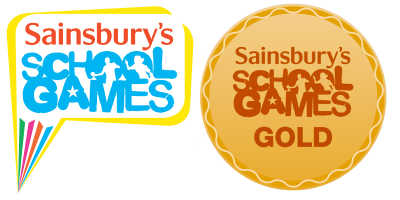 We are thrilled that the hard work of everyone at our school has been recognised and we have again been awarded School Games Gold Mark .